Join Time Out Los Angeles as we celebrate the launch of our brand new quarterly print magazine on Wednesday, October 5th from 7-10pm! Sure, you’ve loved us online for nearly four years, but now we’re ready to get into your hands every three months, for free. Come be among the first to check out the magazine over free beers and bites (including ice cream sandwiches from Milk!) at Golden Road Brewing. We’ll be there playing games, dancing, drinking and raising a glass to all of our favorite people and places in L.A. Best Friends Animal Society will add to the fun with adorable, adoptable puppies on-site. Spots are limited, get your tickets now! Games, live DJ and more! The Los Angeles Cleantech Incubator (LACI) and Los Angeles Department of Water and Power (LADWP) invite you to join us on Friday, October 7th to celebrate the official Grand Opening of the La Kretz Innovation Campus (LKIC). 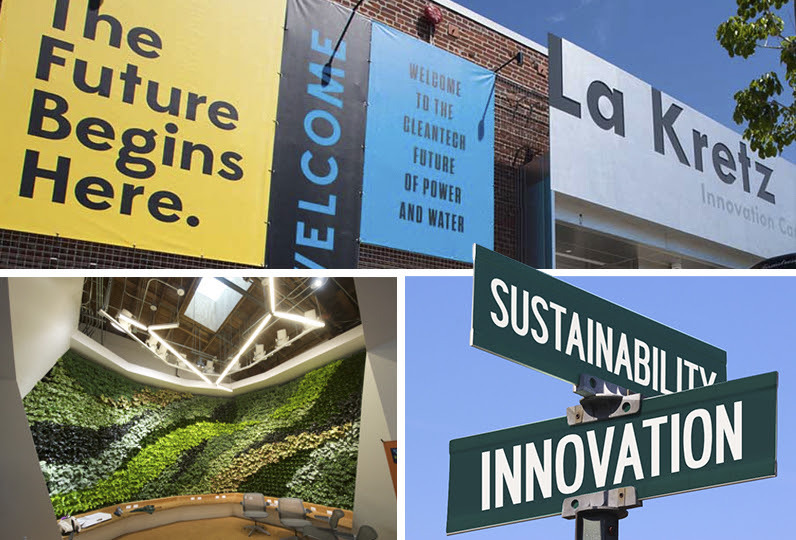 LKIC is Los Angeles’ new cleantech industry hub – a place where entrepreneurs, engineers, scientists and policymakers can collaborate, promote and support the development of clean technologies and LA’s green economy. A fully renovated 60,000 square foot building located in the dynamic Arts & Innovation District of Downtown Los Angeles, the Campus comprises 3.2 acres and is owned by the Los Angeles Department of Water and Power. The campus is home to LACI, a cleantech incubator founded in 2011 as a cluster-driven economic development initiative supported by the City of Los Angeles, LADWP and Community Redevelopment Agency of Los Angeles. 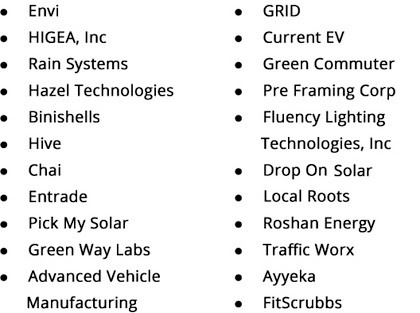 In just over four years LACI has become one of the leading cleantech incubators in the world. The morning ribbon cutting program will feature remarks from Mayor Eric Garcetti, Members of the LA City Council, LADWP Leadership, philanthropist Morton La Kretz and notable local innovators. The celebration will continue throughout the day with company pitches, technology demonstrations and exhibits, and into the early evening with networking receptions, live entertainment, food trucks, and more. For more information, please visit www.grandopening.laci.org. The City of Los Angeles, Los Angeles Department of Water and Power (LADWP) & Los Angeles Cleantech Incubator (LACI) invite you to join us on Friday, October 7th to celebrate the official Grand Opening of the La Kretz Innovation Campus (LKIC), designed by John Friedman Alice Kimm Architects. LKIC is at the hub of LA’s new Cleantech Corridor, where entrepreneurs, engineers, scientists and policymakers collaborate, innovate and contribute to the growth of the City’s green economy. Please arrive by 10am. The Ribbon Cutting will begin at 10:30am sharp. Join Mayor Eric Garcetti (invited) for this auspicious occasion, establishing LA as a green economy leader. Immediately following the ribbon-cutting ceremony, attendees are invited to visit the solar powered Innovation Expo. The Expo will feature LACI Portfolio Companies showcasing their cutting-edge clean technologies, exhibits by LKIC non-profit partners, as well as displays of other innovative products and services. Go behind-the-scenes inside the La Kretz Innovation Campus to get a first hand look at tomorrow’s innovations in the making and an ecosystem of entrepreneurs, technology innovators and leaders in sustainability. Celebrate LA’s vibrant culture with tastes from local food trucks, sounds from LA’s favorite djs, and installations from our neighboring community artists. Coming Soon! Fleming’s Prime Steakhouse & Wine Bar is arriving to Pasadena this October! Conveniently located on the corner of Arroyo and Colorado Boulevard, you’ll find a place for locals and visitors to enjoy an exceptional selection of premium steaks and an expertly curated list of 100 wines by the glass. Stop by after work for a signature cocktail or glass of wine, then stay and indulge in our classic Filet or try something new like our Dry-Aged Prime Ribeye. Party of 15 or more? Please call 626-639-0490. The elegant and spacious new restaurant will feature two outdoor patios, an open floor plan main dining room, a spacious bar and customizable private dining rooms that can be combined to form space for large private events. The restaurant also features premium design elements, including champagne-inspired pendant lights, a magnificent wine room that separates the bar from the main dining room and unique artwork embracing our Southern California wine roots. This update improves the stability, compatibility, and security of iCloud for Windows, and is recommended for all users. Outlook 2007 or later or iCloud.com (for Mail, Contacts, Calendars). This version includes support for Microsoft Outlook on Windows 10. See iCloud system requirements for additional detail. For more information on the security content of this update see https://support.apple.com/kb/HT201222. This after Verizon’s recent acquisition of Yahoo for $4.8 Billion. EAT Show is a brand new tasting event for real food enthusiasts. This isn’t a festival, its a celebration of culinary excellence. We’ve limited to 1,000 tickets per session to avoid the crazy lines. Each ticket gives you access to sample ALL of our amazing vendors. Belt buckles may break. Purchase a VIP ticket to avoid the lines with one hour early access, along with special gifts from our sponsors! 21 & Over. No exceptions. Badge lines will start one hour prior to admission. Please print your tickets for faster entry. Visitor Parking at the Reef is $20. The parking lot entrance will be on Broadway St. Event is indoors. Rain or shine. 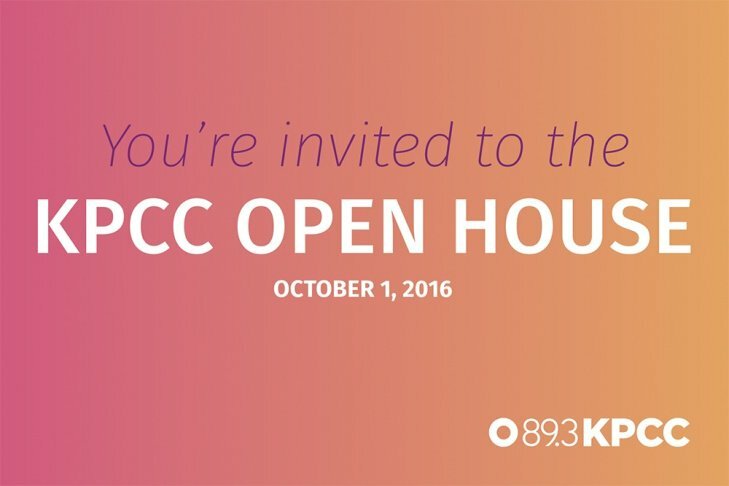 Join us for KPCC’s Community Open House! Take photos with your favorite public radio hosts and reporters (Larry Mantle! Alex Cohen! A Martinez! ), meet and mingle with fellow KPCC fans, enjoy food and drinks on us, enter to win giveaways, tour the broadcast studios, and much more. And Pasadena Humane Society will be here to fulfill all of your cute, furry, animal needs! We LOVE meeting KPCC members and listeners. This is our chance to get to know you, say thank you, and show you a great time! Stop by for a quick visit, or stay for the day – we’ve got activities lined up for the entire family. Join us for the 18th Annual Wiggle Waggle Walk on September 25, 2016 at Brookside Park in Pasadena. Register today at www.wigglewagglewalk.org and start fundraising for the animals. Registration includes an event t-shirt, bib number and dog bandana! If you register early, you will be invited to skip the registration lines at the event and check in early at PHS on September 18th. This leaves more time for expanded event festivities this year such as more vendors, bounce houses, new exciting experiences, surprises from our friends at KTLA and fun for the whole family. If you have any difficulties registering, please email our team at [email protected] and we’d be happy to help! 3. Wellness Corner: Emotional Health, Physical Health and the Journey to Wellness. 4. Community Resources: Where to go when you need Food, Diapers, Health Insurance & More. • Special West Coast appearance by journalist Dan Neil — Filmmaker Chris Paine will present the first annual AltCar Disrupter Award to journalist Dan Neil for his refusal to accept the status quo from the transportation industry. • 10th Anniversary Celebration and speakers panel for “Who Killed The Electric Car” followed by a screening of the film. • Sue Carpenter, KPCC, in discussion with key policy makers and OEMs. Honda Clarity Fuel Cell — First Public Ride-and-Drive! The public is invited to a community meeting on the proposed 710 tunnel project at the Pasadena Convention Center Ballroom, 300 E. Green Street, 6:30-8 p.m., Thursday, Sept. 15, 2016. Sponsored by Councilmember Steve Madison, the event-“The Pasadena Way … Or Their Highway”-will cover topics of connectivity, clean air, the tunnel, trucks and tolls. There will be free, 90-minute parking, with validation, available across the street at the Paseo Colorado garage. The meeting will be broadcast live by Pasadena Media on KPAS, Pasadena’s government cable access channel, found on Channel 3 for Charter subscribers and Channel 99 on the AT& T U-verse system. The meeting will also stream live on the Pasadena Media website, www.pasadenamedia.tv and the City’s website at www.cityofpasadena.net/Media. The event will be recorded for re-broadcast several times during the month of September. Expect the update to be available starting around 10am PST. Apple stock approaches $110 per share on record pre-orders over the weekend with Sprint and T-Mobile reporting record sales. The fiery aroma of freshly roasted Hatch green chiles will welcome visitors to La Grande Orange during the weekend of September 10-11, when Young Guns Produce Co. from Hatch, New Mexico showcases their chiles’ unique flavor, buttery texture, and heat. Honor the Hatch spirit and participate in this farm-to-table, authentic once-a-year New Mexico experience with friends and family. Onsite roasting takes places outside the doors of the restaurant in custom-built roaster. LGO chefs have also created a special menu and guests will be able to bring a little piece of New Mexico home with them – packages of fresh roasted chiles will be available for purchase. Roasted chiles can be used immediately or frozen for later. + NEW / FREE TWO DAY ADMISSION!